We are just over a week into the season, and there have already been plenty of changes in bullpens throughout the Major Leagues. Committees are the flavor of the day, and several managers are treating their relievers like audience members at an Oprah taping. YOU GET A SAVE! YOU GET A SAVE! EVERYBODY GETS A SAVE!!! 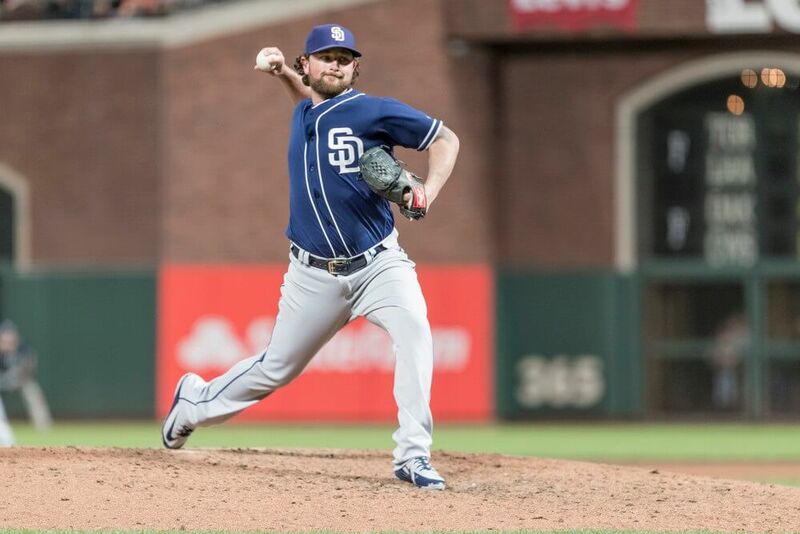 As we try to sort through the noise and the chaos, below you’ll find my closer rankings and bullpen depth charts for each division, along with my take on the latest bullpen news. Ken Giles has enjoyed typical closer usage and has looked the part in the early going. Through four innings, Giles has yet to allow a run and has struck out seven of 13 hitters. He can sneak into the top-10 if he continues many of the strides he made last season with regard to his control. Taylor Rogers was a popular pickup last week, but Rocco Baldelli showcased his disdain for fantasy owners by giving Blake Parker back-to-back save chances this week. The former Angel converted both and could be the preferred option, at least for the moment. As for Rogers, he has recorded more than three outs in two of his three outings and may be viewed as more of a swing pitcher. Jose Leclerc has a win and two saves early on and is the lone sheriff in town for Texas. Leclerc has allowed an insane 59 hits over 122.2 career innings. The only question is whether he will earn enough opportunities. So far, so good for the 5-3 Rangers. Sean Doolittle has yet to post a save but has rewarded fantasy owners with two wins. Wins for closers are always a bit fluky, so it is nice when they come. Doolittle remains unchallenged for saves in the Washington Nationals’ bullpen. Trevor Rosenthal has made David Robertson look like peak Mariano Rivera so far this season. The former Cardinal closer has faced seven batters so far this year. They have all scored. Take a bow if you had John Gant and Dakota Hudson leading the St. Louis Cardinals in saves. Despite the results, Jordan Hicks is the closer in St. Louis until further notice. Hicks hasn’t pitched since Monday but recorded a two-inning victory in that game. It was a nice bounce-back performance after blowing a save and taking a loss in Milwaukee the day before. Andrew Miller and Alex Reyes have struggled out of the gate and do not figure to take many save away from Hicks at this point in time. Will Smith’s draft stock dropped in March due to concerns that he would share closer duties with Mark Melancon. Those fears have seemingly been alleviated, but Smith is still on a rebuilding Giants club which will have a hard time stringing wins together. The good news is that the Giants’ offense is subpar, so when they win, Smith should be in line for some saves. Smith has tallied saves in both of San Francisco’s 2019 victories. Barring a trade to a contender, Smith is a good bet to approach 30 saves and post solid peripherals.